I have visited the Sleeping Bear Dunes National Lakeshore so many times as a child and adult that I have lost count. The view from the top of Pyramid Point never disappoints! This past summer I was so happy to be able to share the view with my husband for the first time. There are a lot of things I love about this photo, including how the water seamlessly blends to the sky. The color blue travels as far as the eye can see – INFINITE. It illustrates perfectly how the Great Lakes rival any of the best oceans in terms of spectacular blue waters and wonderful views. And better still – unsalted! If you have never visited we encourage you to do so! 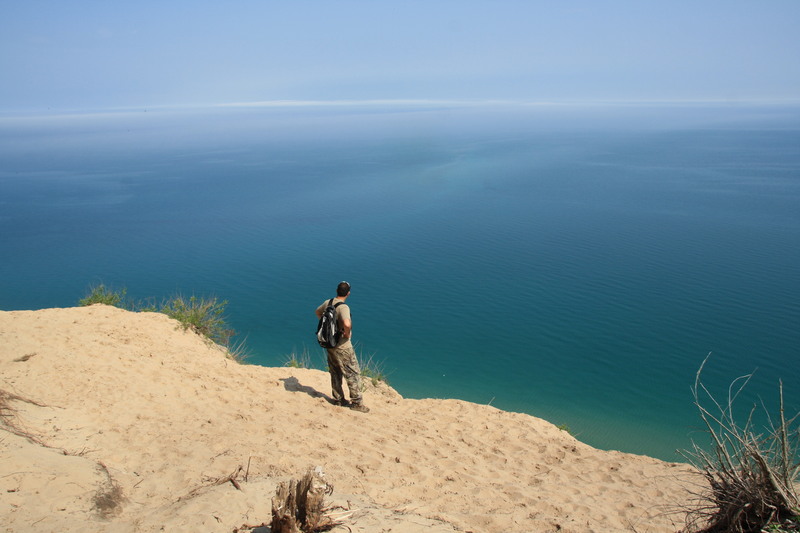 This entry was posted in Title and tagged Michigan, postaday, Pyramid Point, Slepping Bear Dunes. Bookmark the permalink.